There are almost too many moments and too many characters to choose from when it comes to picking your favorite in the Lord of the Rings Trilogy. Here we offer a number of great Lord of the Rings figurines that depict not only a number of brilliant scenes, but also some of the most memorable characters from this legendary series. 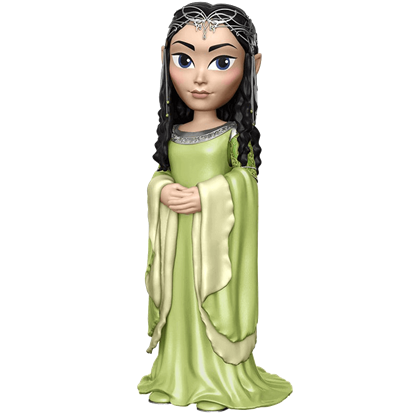 A figurine is the perfect way to pay homage to your favorite character in the trilogy, and offered here are a few high quality examples that serve as perfect collectibles for the LOTR enthusiast. Ranging from busts to full figurines, these Lord of the Rings figurines are a great decoration to have, and many are made from high quality materials to ensure that they look as realistic as possible. We even offer a life-sized sculpt of the infamous creature, Gollum, one that is so large and so lifelike that you will swear it is about to leap off its perch and start hunting for his precious. Each figurine features a high degree of detail, and many are limited edition collectibles, which means that there are only so many of them available. So if you are looking for a Lord of the Rings Figurine, then there is no better time or place then here and now to get one. Eowyn is the niece of King Theoden of Rohan in The Lord of the Rings. 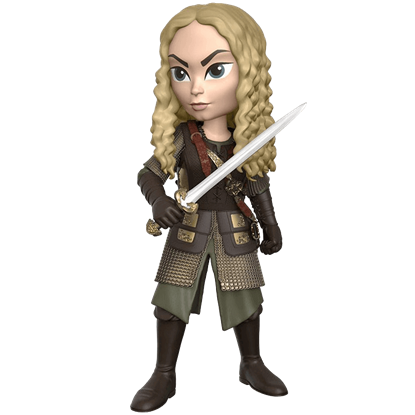 This Eowyn Rock Candy Vinyl Figure depicts Eowyn in her Dernhelm armor, after she has revealed herself to the Witch-king during the Battle of Pelennor Fields. 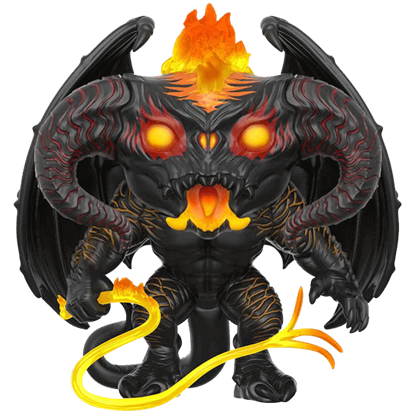 The LOTR Balrog 6 Inch POP Figure depicts the beast said to be at least twice as tall as the Elves of Middle-earth, even more so in the film. According to Tolkien legend, its cruel, destructive nature matches that of a dragon. 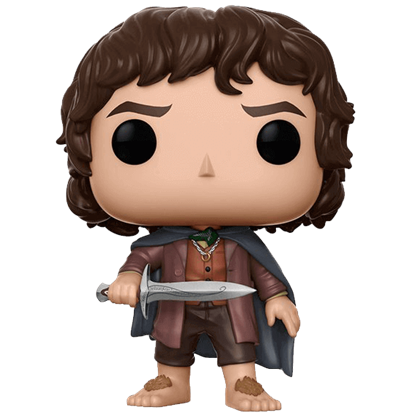 As the LOTR Frodo Baggins POP Figure proves, the Elfish dagger, Sting, serves as a trustworthy sword in the hands of a brave hobbit. This Funko collectible captures the scene in which our hero must battle the giant spider, Shelob. Though he may be battle-worn and outnumbered, this tiny wizard will not back down from his sworn duty to defend Middle-earth. 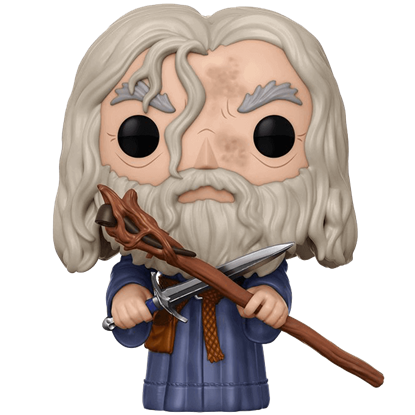 Just observe the determination and grit found in the round, black eyes of the LOTR Gandalf POP Figure. 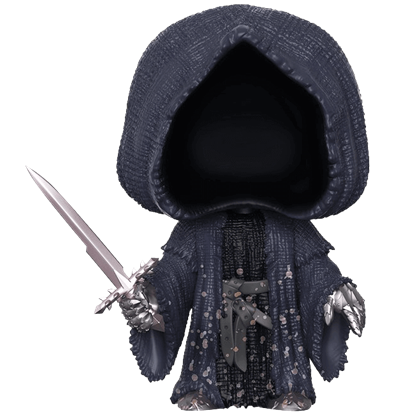 The LOTR Nazgul POP Figure depicts one of the Ringwraiths of the Dark Lord Sauron. Once this spectral figure stood among the Nine Kings of Middle-earth, but through a Ring of Power, his soul became consumed by eternal darkness. The quest to destroy the One Ring became a test of friendship between this loyal hobbit and Frodo Baggins. 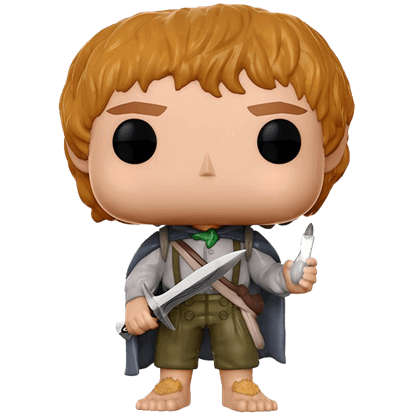 The LOTR Samwise Gamgee POP Figure depicts the scene in which Sam bravely rescues said friend from the giant spider, Shelob. 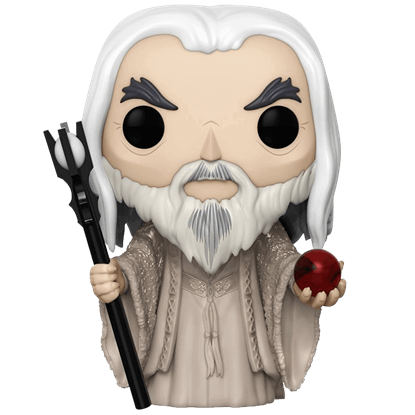 The LOTR Saruman POP Figure depicts the wizard who gained repute for his great wisdom and magical skill. Although he once led the White Council, his desire to rule Middle-earth, and loyalty to none but himself led to a fateful downfall.